In a shocking display of cross-generational pandering, The Weinstein Company has announced three new projects that will appeal to ‘80s kids, ‘90s kids, and even the dreaded ‘00s kids. 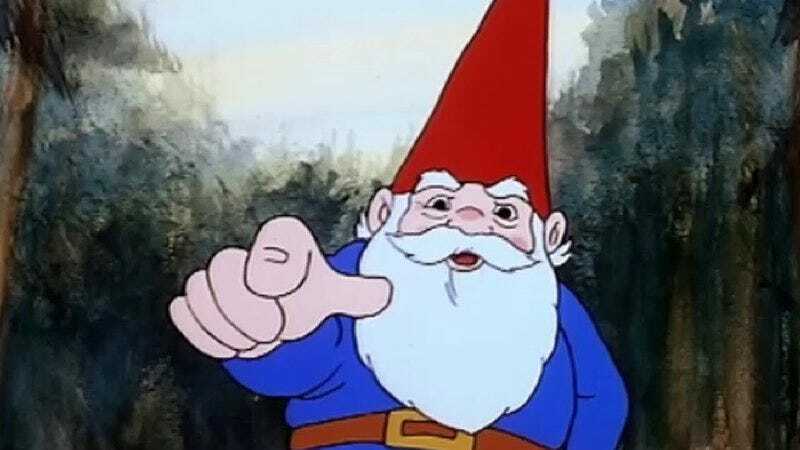 According to Deadline, The Weinstein Company is “making an aggressive move into family-themed animated programming” by picking up the rights to rebooted versions of David The Gnome, Spy Kids, and ReBoot. If you don’t know what any of those things are, then you must not be an ‘80s kid, a ‘90s kid, or even a ‘00s kid. Do your parents/grandchildren know you’re using the computer? The new take on David The Gnome—which was a Spanish cartoon that was dubbed into a ton of different languages for various countries in the ‘80s—will be titled Gnomes. Deadline says it will be about cute, little men with beards “who travel the world doing battle against their evil troll enemies,” which is not at all how we remember David The Gnome, but whatever. The Weinsteins also control all of the rights to the existing David The Gnome stuff, so they could reissue it if they choose to, but they’re apparently only focusing on this new series for now. Robert Rodriguez’s Spy Kids movies were live-action, family-friendly action adventures about a pair of kids whose parents were high-tech super spies. This new version will be an animated TV show starring the same kid characters, but the setting will now be “a top-secret Hogwarts-like spy school for children.” Going off of Deadline‘s information, it doesn’t sound like Rodriguez is involved at all.